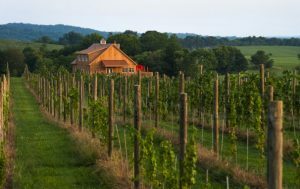 Loudoun County is the latest in a growing list of jurisdictions taking a comprehensive look at how they plan for future growth and attract and retain a talented workforce in light of changes to the region’s economy and jobs market. All of this is happening amidst strong emerging public preferences for live/work/play development that features walkable, compact, mixed use communities. After a year of meetings and public outreach, the Nighttime Economy Ad-Hoc Committee (NEAC) of the Loudoun County Economic Advisory Commission has issued their recommendations in a new report on how to leverage the County’s best attributes – good schools and jobs, a thriving agricultural area and booming tourism in the wine country, and access to Dulles International Airport – to compete for commercial investment, jobs and talent. And there’s no doubt that the two Silver Line stations scheduled to open in Loudoun in 2020 have framed some of these conversations. As the report acknowledges, all of these new realities require different approaches to growth and development than the county has chosen in the past. Through a community outreach process that looked at participant responses by age (Millennials, Gen X and Baby Boomers), the county solicited public opinion on seven core elements of a nighttime economy – entertainment, public space and amenities, housing affordability and diversity, economic development initiatives/incentives, transportation, public safety and compliance. Multi-modal transportation options that connect retail areas and housing of all types. The concept that housing is a key component of economic development and the recommendations that more diverse housing types at more affordable price points are needed, is consistent with other reports and planning documents from across the region including Fairfax County’s Economic Plan for Success, Governor McAuliffe’s New Virginia Economy, The Greater Washington Housing Leaders Group Call the Question, and the Center for Regional Analysis Roadmap To Our Region’s Economic Future. The NEAC recommendations will be forwarded to Loudoun’s Transportation and Land Use Committee to evaluate resources needed and implementation strategies, with the ability to incorporate some of the recommendations into current processes and efforts by the county.